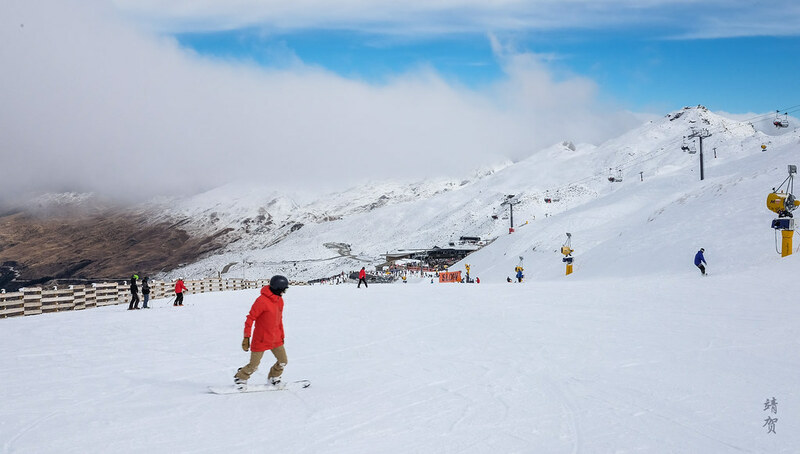 Queenstown is a great city for skiers to stay at since it is very close by to several ski resorts including Coronet Peak, The Remarkables and Cardrona. 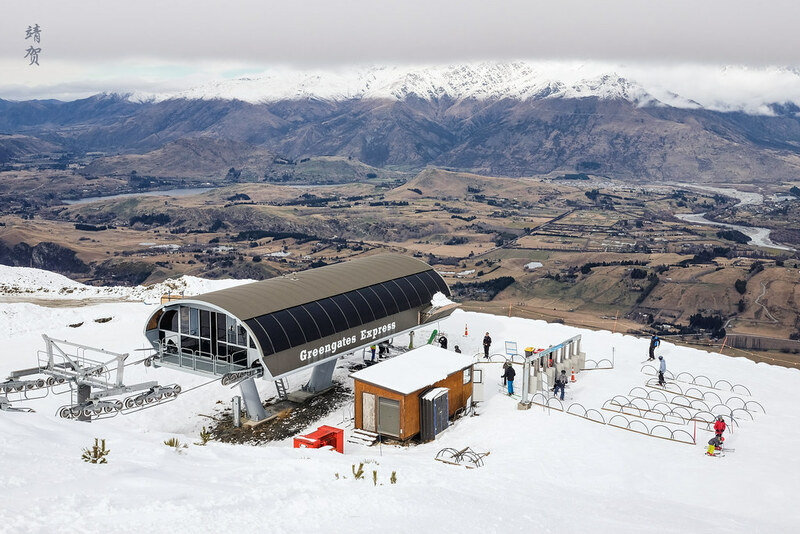 The first 2 are managed and owned by the same company, meaning skiers can buy multi-day tickets for both Coronet Peak and The Remarkables. 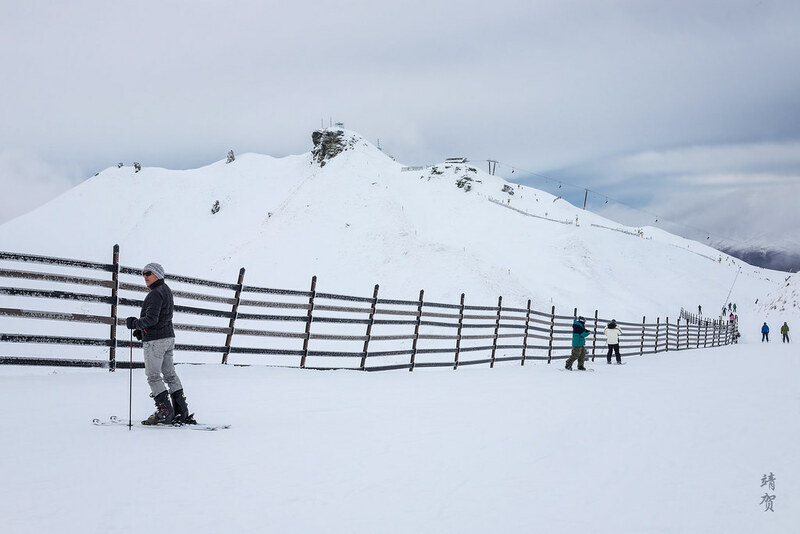 Their proximity to Queenstown also means that these ski resorts can get busy during the holidays and weekends. None of the ski resorts have on-mountain lodging, and that means all of the skiers are day-trippers, so there might be a rush of traffic up the mountains in the morning and back down in the evening. This is definitely something to keep in mind when skiing in New Zealand. 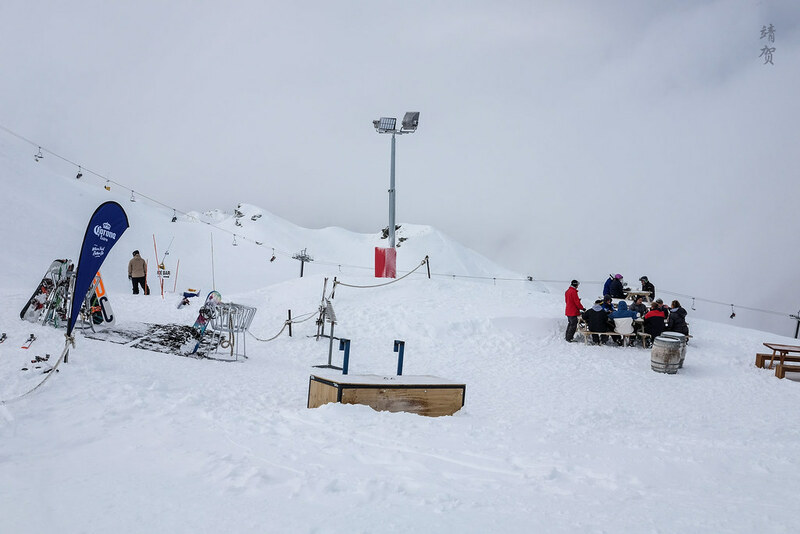 With a total vertical elevation of less than 500m, this is definitely not a resort that could be classified as a ski destination that is worth putting in a bucket list, but it offers a decent introduction for skiing in New Zealand and would offer plenty of fun for first time skiers. Mountain Collective passholders would also be glad to know that 2 days Coronet Peak and/or The Remarkables are included. With the ski season running between June until October, skiers can ski here while the northern hemisphere is warm and sunny. Situated north of Queenstown, the resort is still fairly easy to get to even with the winding roads and would probably the most accessible from the city. 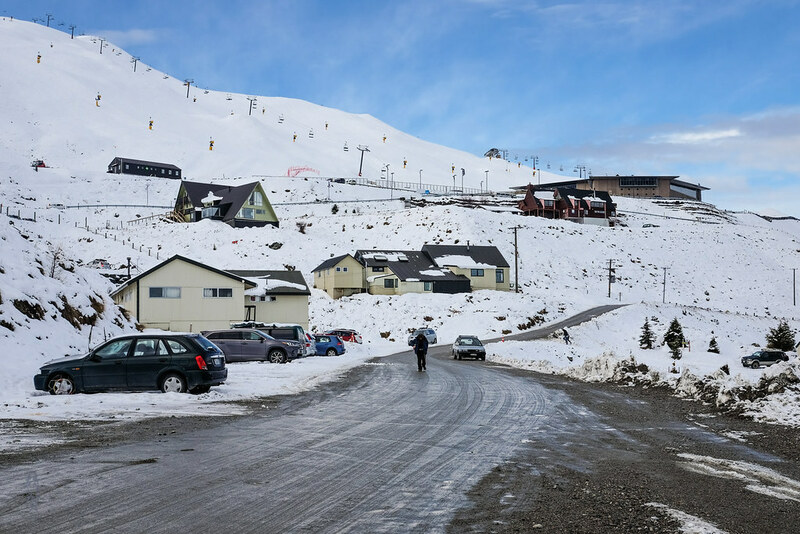 Similar to the ski resorts in Chile, the base of Coronet Peak is located higher up and that means the access here is through a series of winding roads that might be challenging to beginner drivers or those not used to driving mountainous roads. While the drive takes approximately half an hour or so, there are some stretches of gravel road so you might want cars with better ground clearance and they should also prepare snow chains since it would be required when it snows. In most instances, the drive back at the evening would also mean some muddy roads that could be slippery so drivers need to make sure their car’s traction control is functioning properly. The nice part of driving is that parking is complimentary in the ski resort, or nearly all the resorts that I visited in New Zealand. 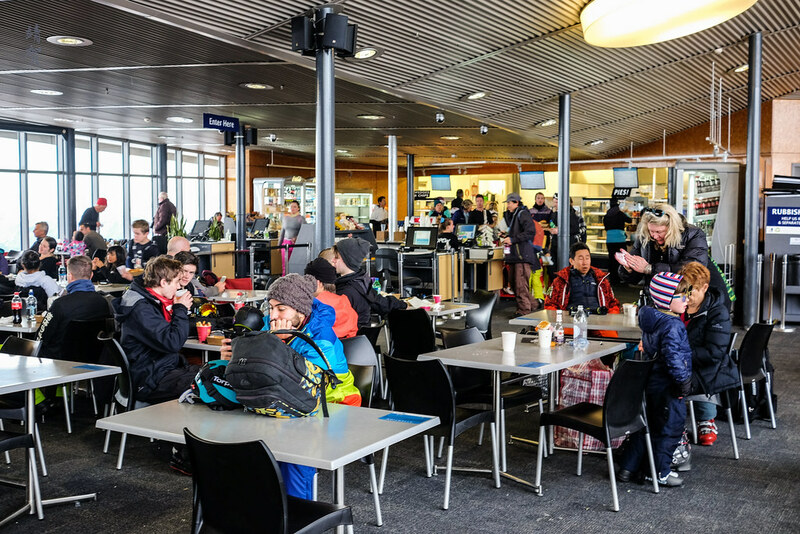 Otherwise skiers can easily purchase bus tickets starting from just NZ$20 for a return trip to Coronet Peak for the convenience of being dropped off at the ski lodge. Otherwise the parking lots close to the main base station can get filled up quickly. That would mean taking a shuttle bus from the parking lots to the base station, with the expectation of some wait. 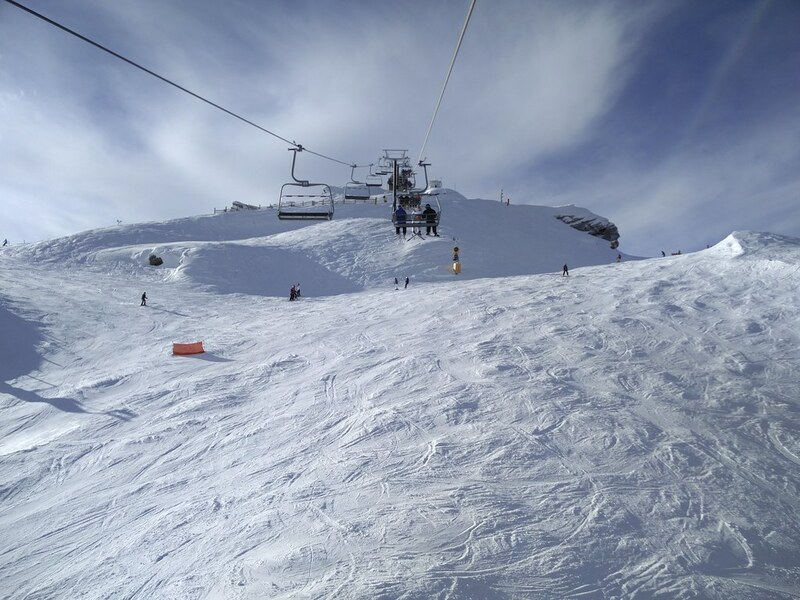 As far as access goes, the ski resort is very conveniently located a medium sized airport that has frequent flights between Sydney and Auckland, both international gateways to the Australia/New Zealand region. In fact with night skiing available every Wednesday, Friday and Saturday nights, it is possible for skiers to arrive into Queenstown in time on the first day to get up on the chairlift and ski downhill. 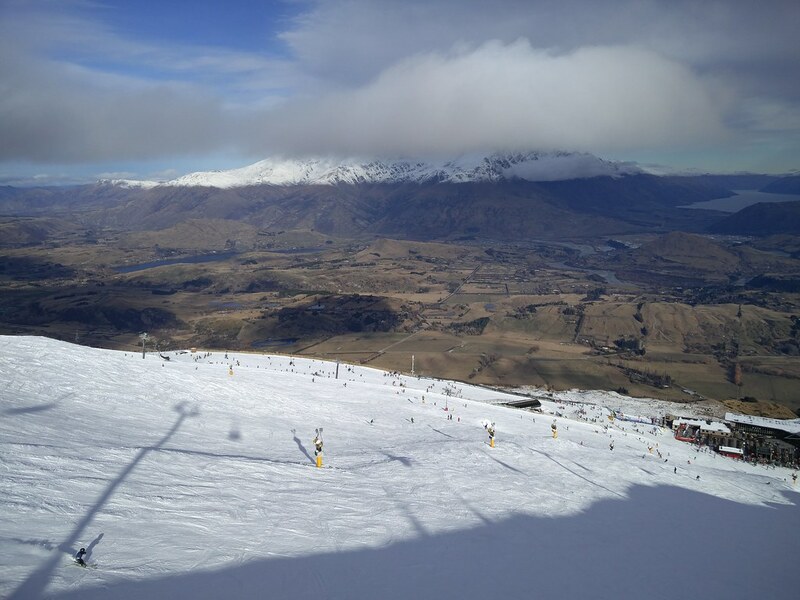 Coronet Peak is not large when compared globally to other ski resorts, though it is considered a good size in New Zealand. 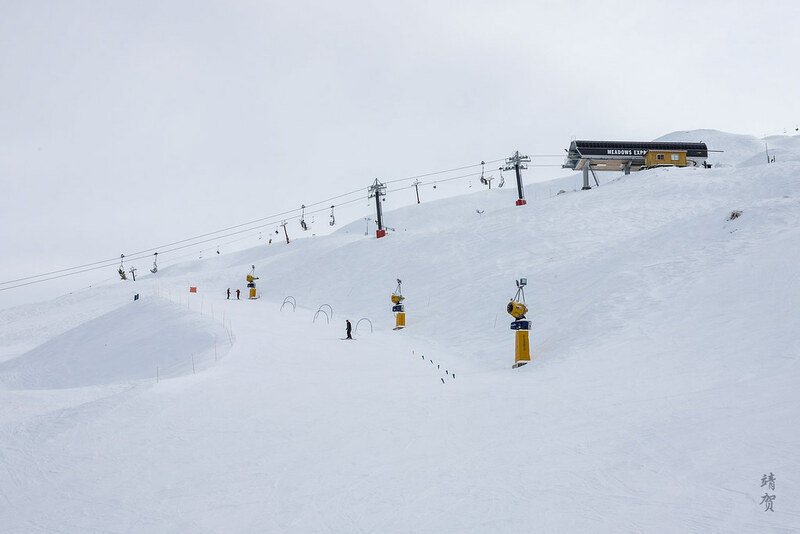 The resort itself only has one 6-seater express chairlift and a pair of 4-seater express chairlifts, and no gondola. The 6-seater express chairlift called Greengates Express serves the less frequented part of the resort that allows skiers to access the lower part of the parking lots. However this part of the resort is not connected to the base and has no restaurants, cafeterias nor any place to sit down for lunch. 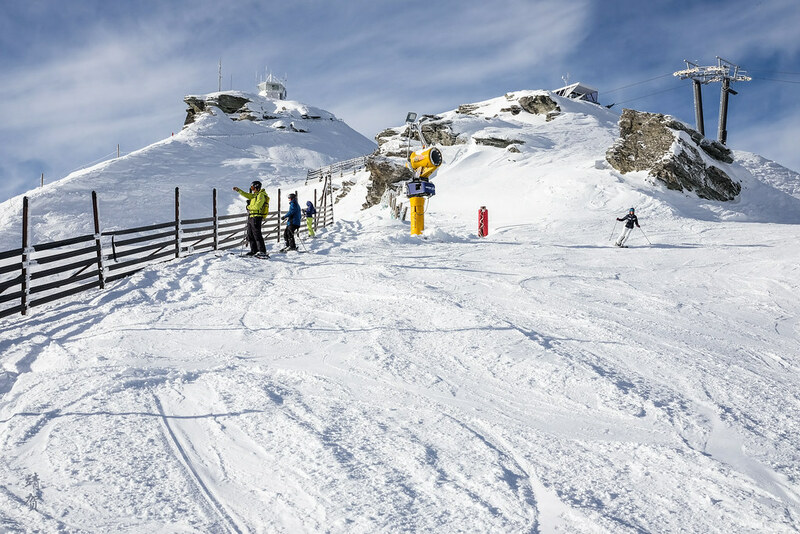 Coronet Express chairlift is the main 4-seater that links the summit at 1,649m with the base station while Meadows Express is the other 4-seater chairlift that serves the beginner areas, though they are not for those who just started out skiing. For those who just started out skiing, there are a total of 3 conveyor belt systems serving the mild slopes at the bottom of the Meadows Express chairlift. There is also a T-bar system on the other side of the resort for ski racers. This side of the resort can be accessed from Meadows Express chairlift and has its own hut at the bottom serving refreshments as well as having lavatories. One day passes sells for NZ$119 (~$81) and there is the availability of ‘Twilight’ passes for skiing from 12:30pm till 9pm for NZ$119 and night ski passes from 4-9pm for NZ$59. Though the latter is sold only on days where there are night skiing. 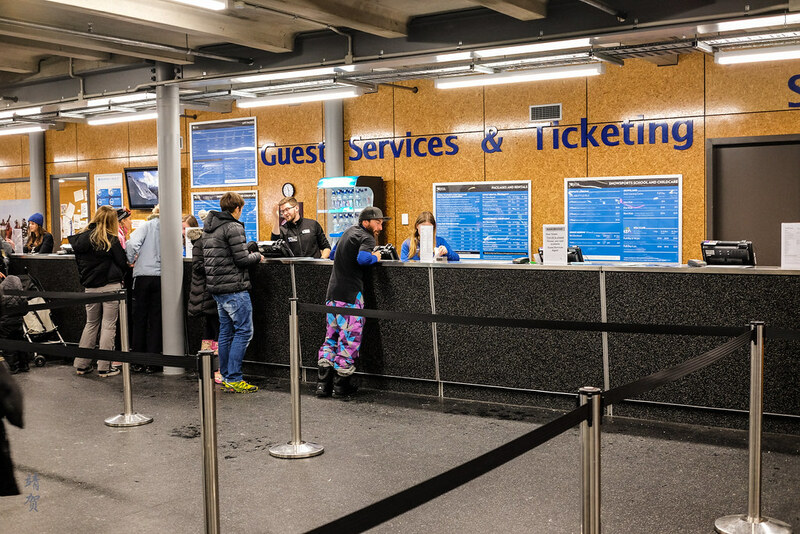 Skiers intending to ski multiple days can purchase multi-day tickets with 5-day passes costing NZ$475 and additional days being charged at NZ$95. 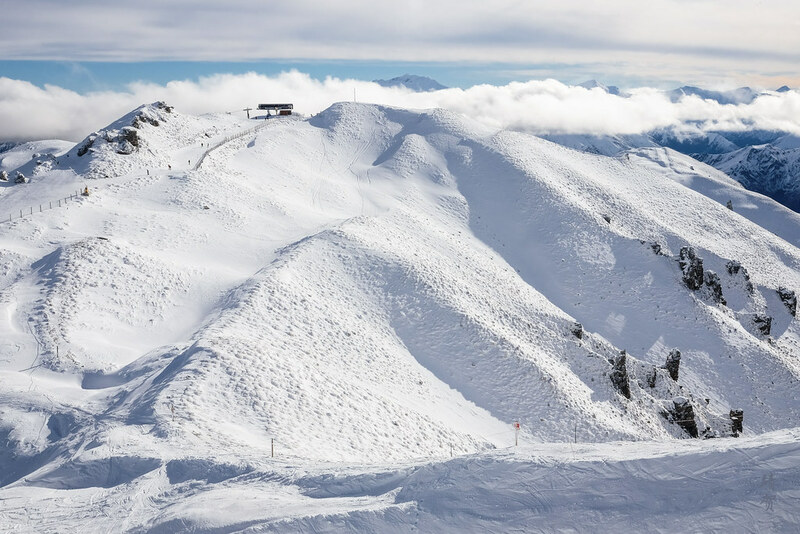 For those seeking variety, the multiple ski days can be used at both Coronet Peak and its sister resort in The Remarkables. Though at these prices, I am not keen on the multiple day passes since the resorts are small enough to cover all the marked terrain in a single day. 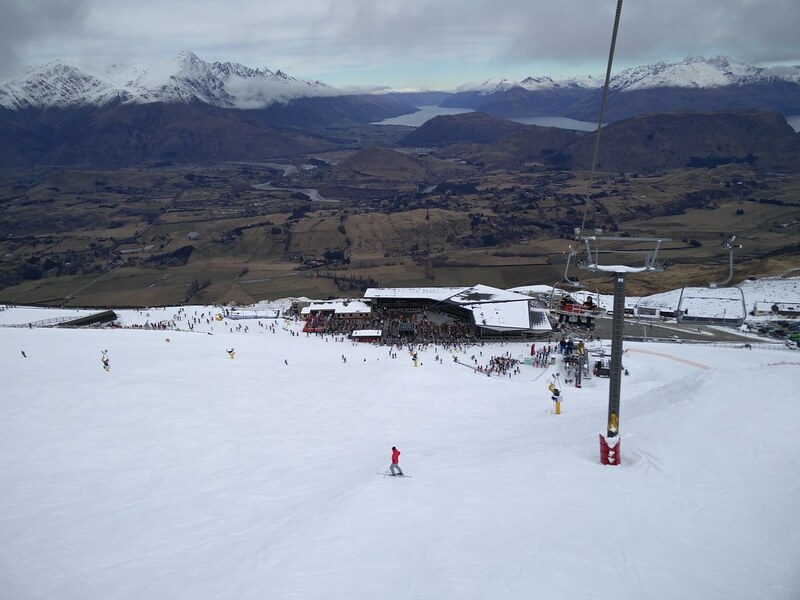 Even if skiers want to ski in The Remarkables, they should just buy 2 or 3 days passes and leave other days for other resorts in the area. Considering the relatively small scale of the resorts and limited facilities, prices for ski pass is in fact quite expensive. Skiers without their own gear should also note rentals are not cheaper by any means and it is better for skiers to rent gear in Queenstown where selections are wider and returns more convenient. The main learning area is through a series of conveyor belts, or commonly known as ‘magic carpets’ in some ski resorts. Notably, this is the area that is most crowded, since the space is limited. Beginners who have gotten a better grasp can proceed to the Meadows Express chair where there is a mild green/blue run called the Big Easy that would lead back to the base. This is a great area to refresh and warm up for skiers who are taking up the sport after a long hiatus. Other than that, there is a traverse run that goes from the base station to the bottom of the Greengates Express chairlift and the lower parking lots. Though it does not really make sense for beginners to use this run since there is no way back to the base station from here. Intermediate runs marked blue forms the bulk of the ski resort like any other. Skiers proficient enough to ski the blue runs can practically access all parts of the resort as there are good blue runs from the top of every chairlift and T-bars. The intermediate runs from Coronet Express like M1, Pro Am and Arnold’s Way are milder and had better snow when I visited compared to the ones from Greengates Express. Though because these runs lead back to the base lodge, there are more skiers on these ski runs. From the top of Greengates Express, there are 2 major blue runs, one is Dirty Four leading to Sarah Sue that brings skiers back to the base of the Greengates chair, while the Wall Street run will return to the base lodge. The Million Dollar and Wall Street runs in Coronet Peak probably has one of the best views out into the valley when the skies clears up. Freeriders would probably hit the back bowls located off the summit from Coronet Express chairlift though this area is marked as for experts only and skiers wishing to do this should probably report their name with the ski patrol in case they get lost. The back bowls will lead to a series of steeper runs leading to the top of the Meadows Express chairlift. For more advanced runs, skiers can look do the traverse from the top of Coronet Express to link with Sarah Sue run into Greengates or do the bumps at the lower half of the Greengates Express. There is also the Race Arena and Powder Run served by the T-bar. Coronet Peak does not have a terrain park so park riders would probably want to skip this and head to the sister property at The Remarkables instead. Technically speaking, there is only one main lodge which is the base of the ski resort. 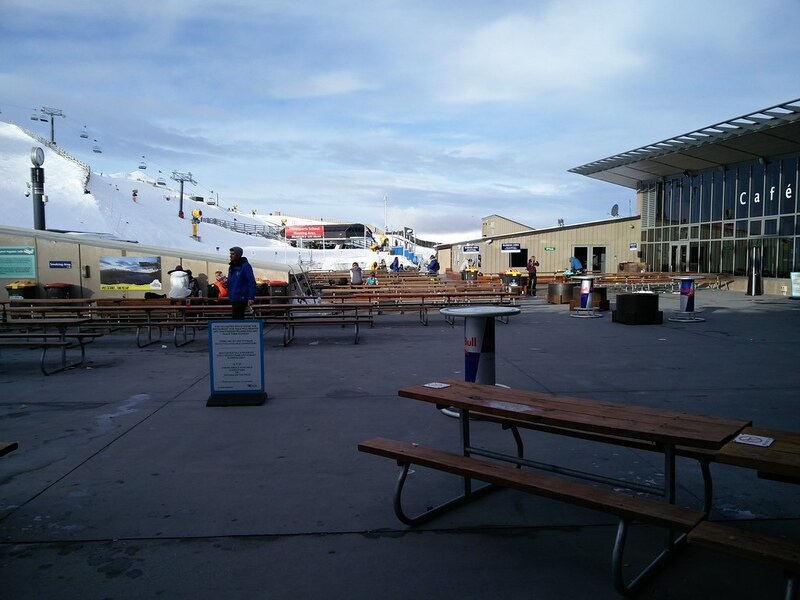 This is where skiers arrive at the resort to purchase tickets, rent their gear if required and refresh themselves. In addition to rentals and shops selling all the winter gear, there is a restaurant at the second floor of the lodge with a cafe and outdoor patio when the spring weather arrives. At the base of the T-bar, there is Heidi’s Hut which can be classified as a ski lodge of sorts with limited refreshments and seating space. Alternatively, skiers bringing their own lunches can fins some seats at the area where the M1 run splits to the Million Dollar run. There is also an ice bar that retails alcoholic beverages. For a resort of this size, seating space is adequate inside the main lodge and the on-mountain lodge is large enough with all the basic services skiers would generally need. Like most North American ski resorts, the food sold inside the lodge only cafe and restaurant varies from the usual burgers and fries to paninis, wraps and sandwiches. 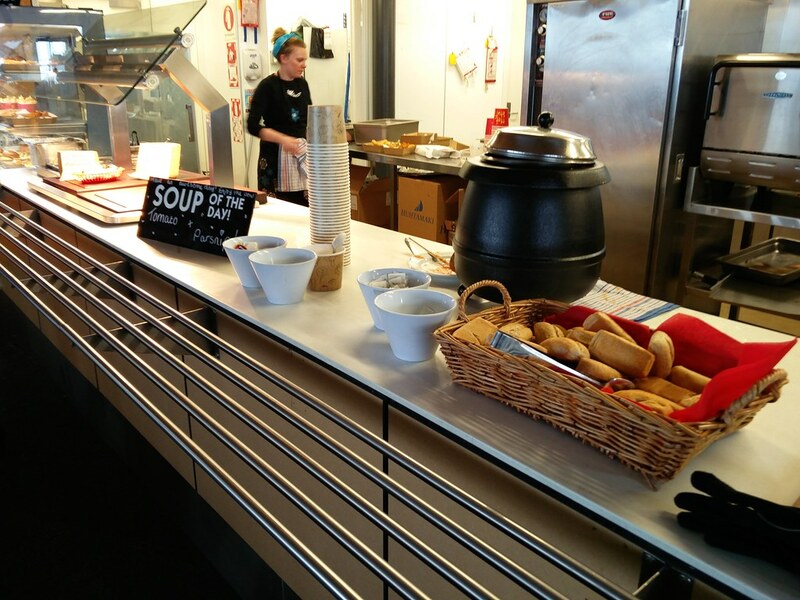 Hot soup is also available though there is only one choice of soup every day. 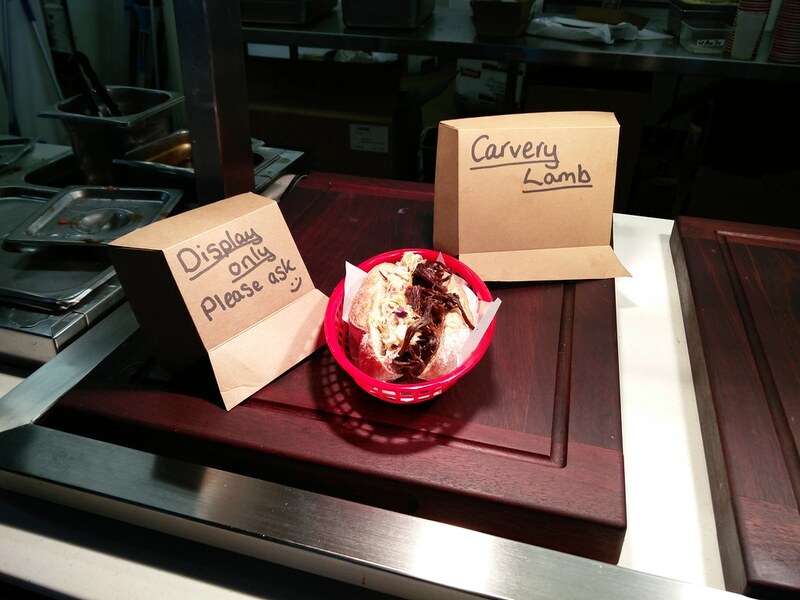 Local specialties includes lamb sandwiches which skiers can order from the counter, as opposed to the ready made burgers, nuggets and wraps. Another dish worth trying would be the various pies that one rarely gets in other ski resorts. 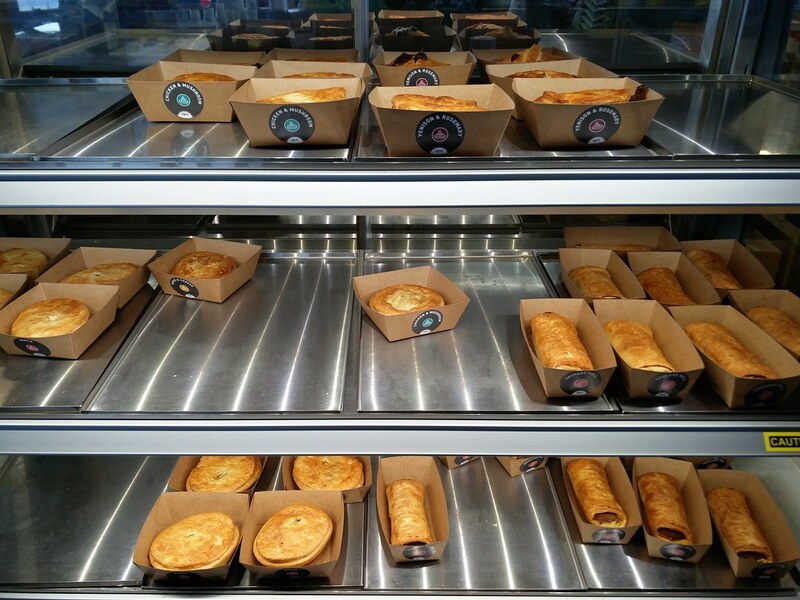 It might be a British staple and thus served in New Zealand, which is part of the Commonwealth. 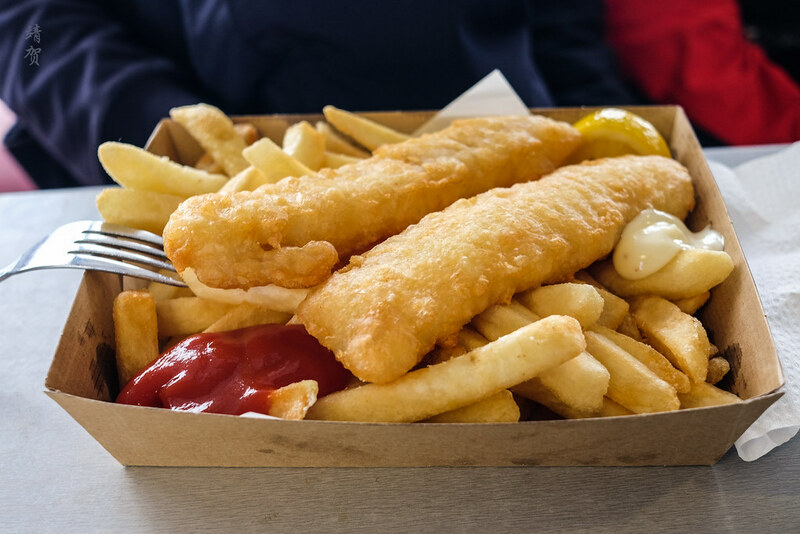 Fish and chips is another classic British cuisine found in the restaurant here. 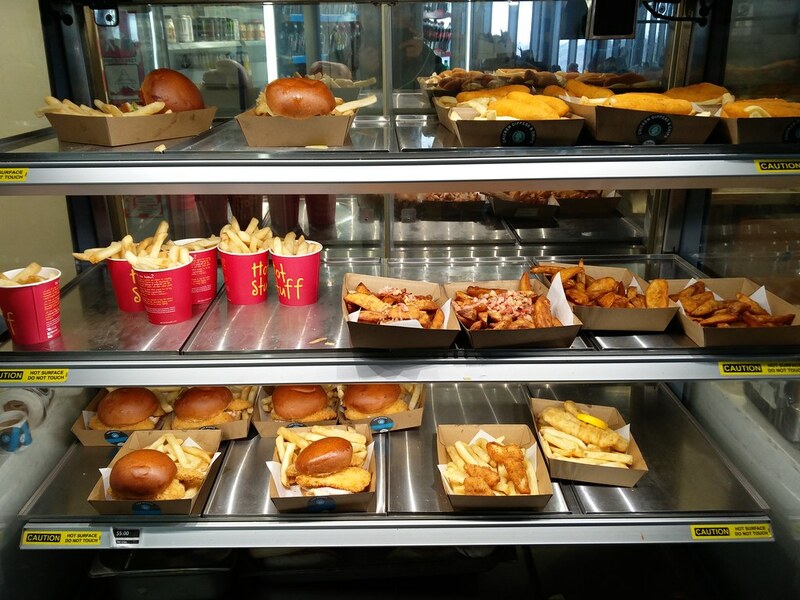 Prices range from NZ$15.50-16.00 for the burgers and fish and chips while the chicken dippers cost NZ$11.50. For drinks there are a large variety of energy and soft drinks along with bottled juices and mineral water, though skiers could ask for free tap water from the bar and cafe. 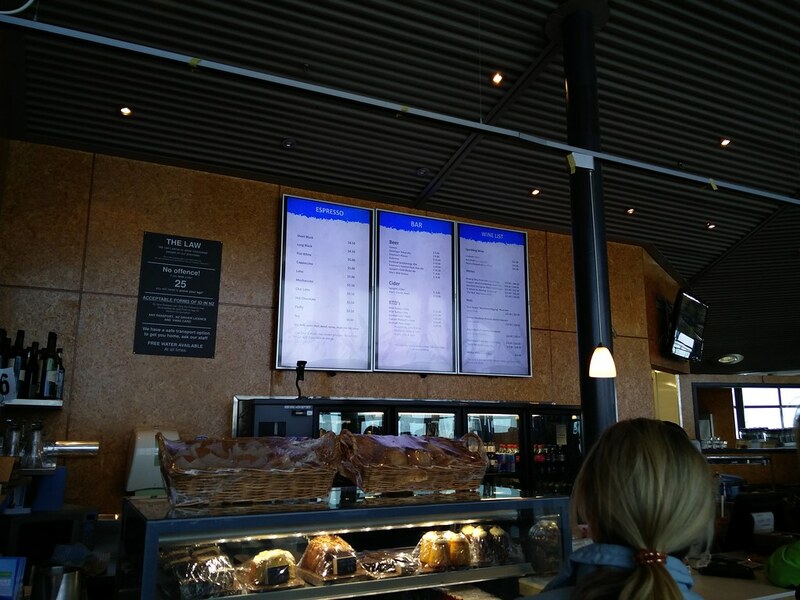 Hot drinks served in the cafe includes latte, tea and hot chocolate. 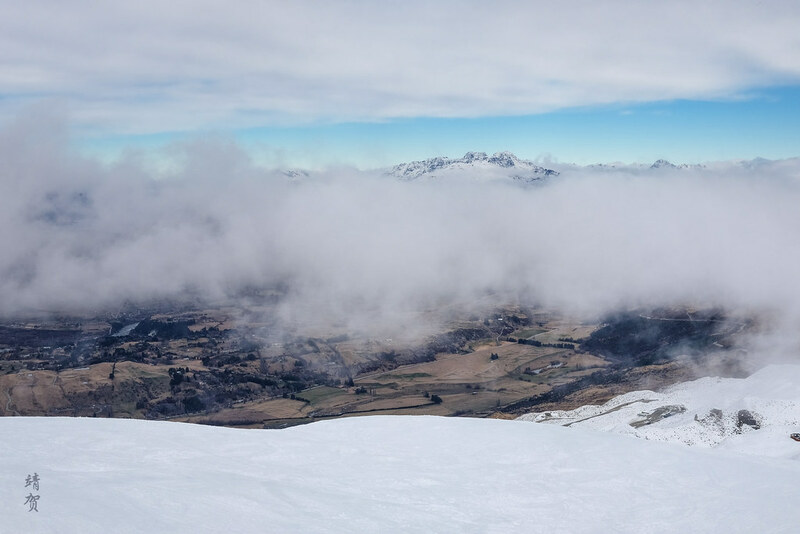 There are no lodging on the mountains in Coronet Peak and skiers who wishes to be the first one up the mountains could do well by reserving the several B&Bs located on the main road in the valley along Malaghans Road. Otherwise there are several motels, apartments and chalets for rent at the nearby towns of Arrowtown and Arthurs Point, both of which would be closer to Coronet Peak. 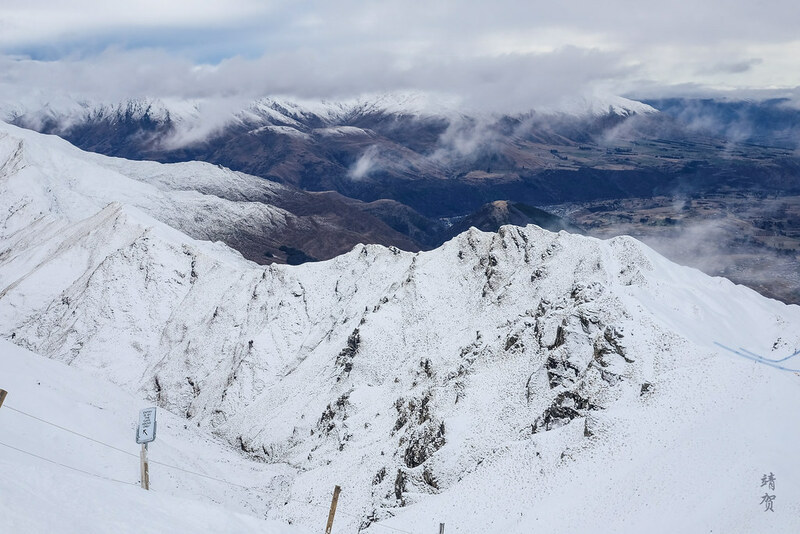 However if one is intending to ski both Coronet Peak and The Remarkables, it might be better to be based in Queenstown for more choices of lodging. With no lodging on the mountain, the only aprés-ski is back in Queenstown where the bars and pubs are to be found. Queenstown city centre really gets busy in the evenings when the ski lifts closes and skiers return or change equipment and share tales of adventure in the numerous bars around the waterfront or the small city centre. Otherwise, skiers can earn themselves some wine, beer or cider after the end of the ski day at the cafe. After all New Zealand and the Central Otago region where Queenstown is located at is home to some fine wineries, and a glass of local wine retails for around NZ$11-13, with beers costing NZ$8-10 in the cafe. During the weekends and days with night skiing, the ice bar could be another popular spot for a drink in between, since the timing would make it suitable too! 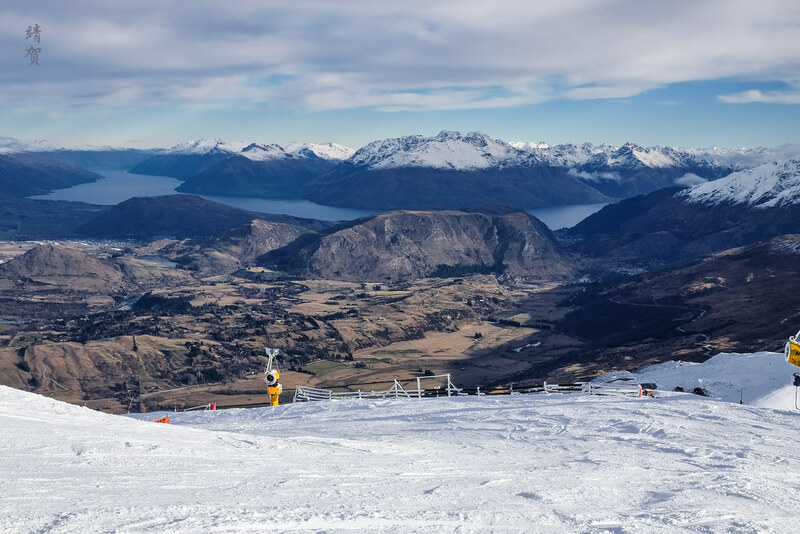 The relatively low summit of Coronet Peak means that surrounding Queenstown can still be visible from the peak and while skiing down to the base. There really is not much of a difference in terms of view from the base lodge car parks of the summit due to the small altitude difference. However skiers can get a nice view of Greengates as well as the mountain range from the backcountry access sites. These areas provide a nice perspective of the Southern Alps around Queenstown. 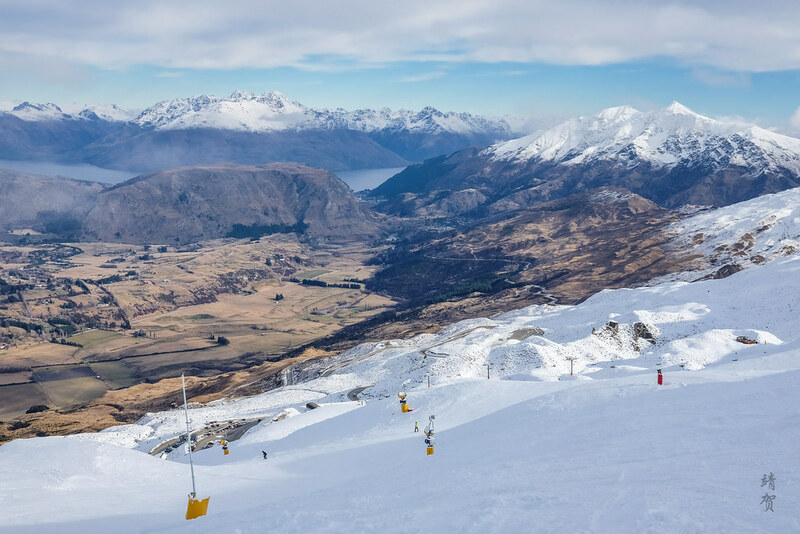 Spending just one day skiing in Coronet Peak, it can feel particularly disappointing if you are used to the long runs in the Alps or the majestic views of the Rockies. 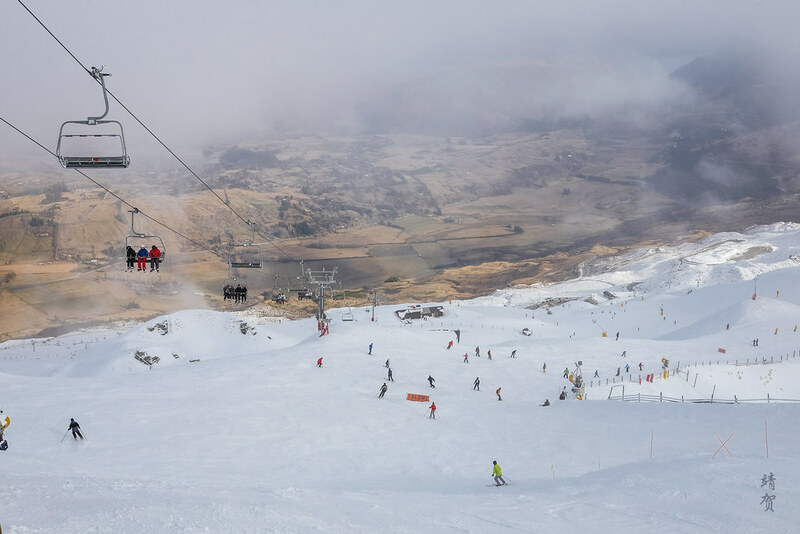 However if you come with the intention to just enjoy a day out on the mountains, Coronet Peak does offer a taste of what it is like to ski in New Zealand. 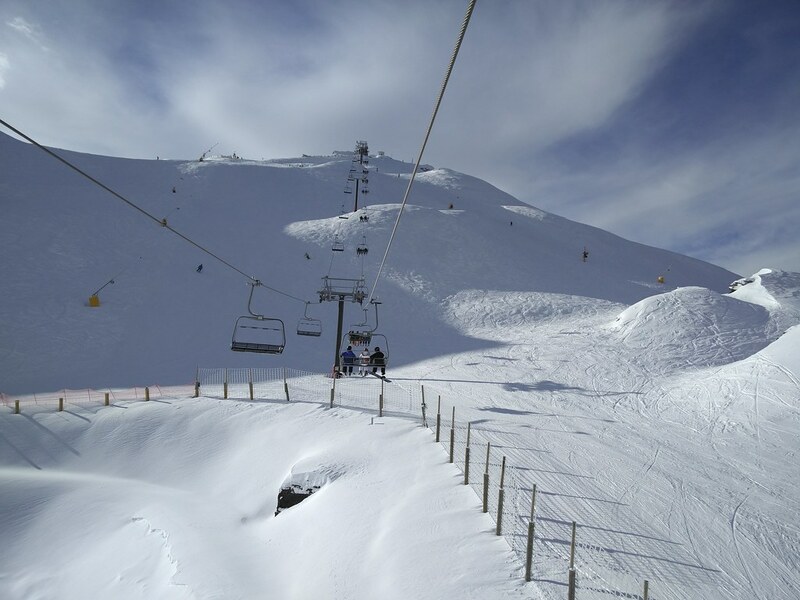 For first timers to the country, there is no harm in trying out skiing in Coronet Peak if you are a decent skier and have limited time in Queenstown. It might even be fun to ski here during the days where night skiing is offered along with the ‘Twilight Pass’ to get to enjoy the sunset and a nice day out. Hard-core skiers would definitely find more noteworthy ski resorts in New Zealand and should just give this resort a pass as there is nothing particularly compelling about skiing here.